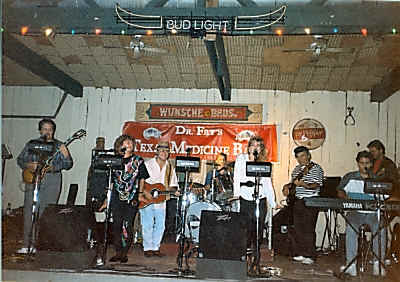 Dr Fry's Texas Medicine Band is "an 8 piece Houston group and one of the finest country and old time Rock n Roll bands in town..."
Dr. Fry�s Texas Medicine Band is a Houston area band that has concentrated on recording original music in recent years. The band�s music is guitar and keyboard based music - fun, poetic, original country rock with male and female vocals. Dr. Fry is Clifford Fry, who is a Ph.D. economist. Clifford grew up in the country dance halls outside of Kingsville, Texas and began playing guitar in the early teen years. It was in high school in Kingsville that Clifford wrote his first song, �Sittin� and Starin�� featured on the �River Bolt of Lightning� disc. 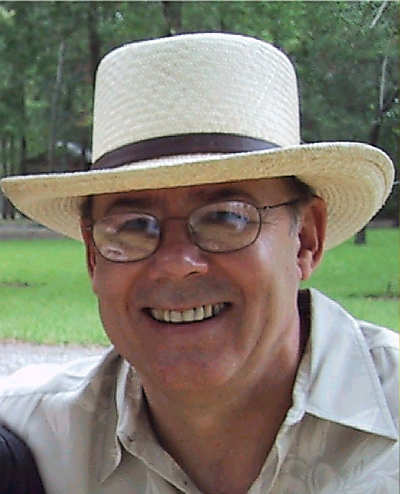 Clifford met Douglas Sharp in graduate school at Texas A&M University in the late 1960s. Having no money, they spent their time listening to their record collections or singing in �the midnight choir� when not studying. After leaving graduate school Clifford and Doug began writing songs together. 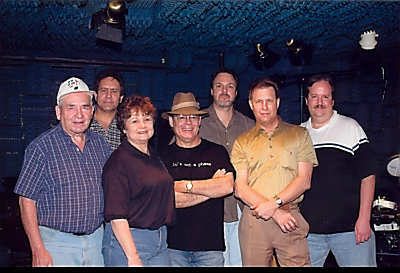 After winning several awards in the American Song Festival and other song contests, and after recording one LP album of their songs, Clifford built a studio to begin making demos of their songs. Every Thursday night musicians would gather for fun and recording, out of which �Dr. Fry�s Texas Medicine Band� was born. The band included Clifford�s sister, Darelyn Jennings on vocals, as well as his father, Max Fry, on bass, as well as five other musicians with extensive band experience. The band played many clubs in the Houston area to standing room only crowds, playing a mixture of rock and roll and country, with original songs to the band mixed with covers. The band�s specialty was FUN, a party band, though some serious music was played. The band played for many Houston corporations, such as Conoco and Compaq Computer, and was the �house band� for the President of the University of Houston for many years. A second LP was made of original songs but not distributed, though the band had one nationally released single on Fraternity Records in the mid 1980s. 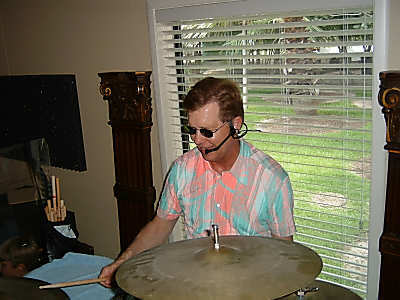 In the early 1990s Clifford moved to College Station, and the band began concentrating on recording. The effort resulted in �River Bolt of Lightning�, released to country radio in Europe in the fall of 1999. 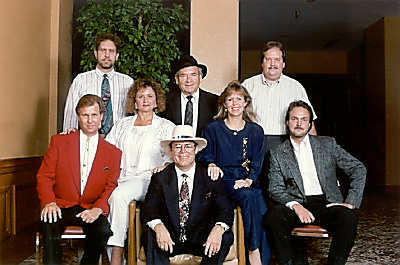 The album reached several European Country Music Association Top 40 Album country charts, and the band has appeared on several Most Played Independent Artists charts in Europe. Several songs on the album have charted, including Mr. Heavy, which reached #12 on the EMS Top 40 Independent Country chart. Only Car In Your Garage was featured on Car Talk, a PBS radio show, and several songs from the album were chosen for release on compilation discs distributed by the ECMA, Stardust, HOTDISC, and Texas Twister. The band�s second disc, on the Texas Twister label, was �Texas Medicine�, included 16 songs, 15 of which were written by the band. The discs includes The Reason, Her Goodies Aren�t As Good As Mine, Them Rabbits Go Dancin�, Oh Maria, Blow Ye Wind, and other songs that have received a lot of airplay. 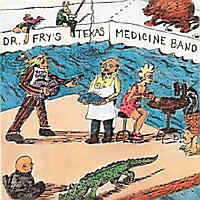 On the Worldwide Most Played Artists Chart for the entire year 2001, Dr. Fry's Texas Medicine Band ranked number 6, and for the year 2002 was number 23. 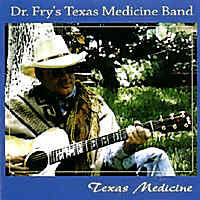 Dr. Fry�s Texas Medicine Band has recently released some live cuts on Western Heart Compilations, including covers of Bob Dylan�s �I�ll Remember You�, The Forester Sisters� �Sooner of Later�, Lee Roy Parnell�s �Red Hot�, and Chuck Berry's "Back In The USA".